I'll be back tomorrow with another post featuring the Petite Places: Holiday Lane stamp set! Thanks for visiting and have a fabulous day! This is perfectly done! What a stunning design and colors! 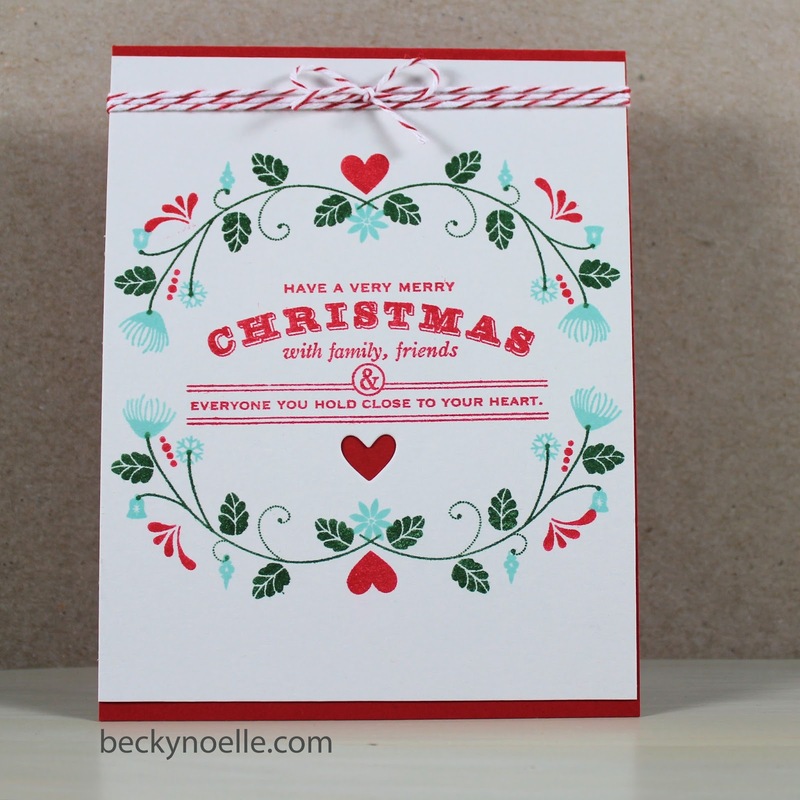 I love the use of white space on your perfectly stamped card!! Beautifully done! I love the colors you chose! I thought of using this stamp set, but decided on something else. This is beautiful. The tiny leaves, flowers, and hearts create the perfect frame for your sweet sentiment. Hello.... I am kinda loving how this turned out too..... Its gorgeous, Becky! Wow! I am going to have to watch that video later so I can try and create this too! Love everything about this card! The colors are lovely, the stamping and motif building are amazing, and the sentiment is so tender. I was going to comment as soon as I saw it yesterday, but wanted to watch your video before I commented, but never got a chance until this morning. Great job! I'm so glad I have these stamp sets because this card is just lovely. You did a wonderful job! Becky, love love love your card , but I especially like the tips on the Misti thanks for sharing.